I am so sorry I haven't blogged in a month. I was so busy finishing up the school year…I just didn't schedule my time right. We had our last day of school last week! It was really hard to say good-bye to these kiddos. We had a great year together. I'm so excited for summer! Today's post is the first of two. This month's Weekend Warriors theme is Pinspirational June! I've been an pinner since the conception of Pinterest. I haven't been so good at pinning lately..But I always go to it as a resource for food, school or outfit ideas. It definitely was my first search stop when planning my wedding. I don't think I even use Google anymore…I pinterest things first. I pinned this over 2 years ago and it's been repinned 97 times. It comes from Creating and Teaching. You can check out her blog here. I've always thought this was a great idea…and I never did anything with it. 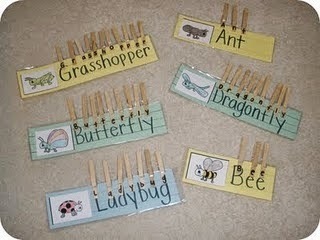 I think it's a great way for kids to practice their letter matching, fine motor skills and vocabulary building. I decided I'd make my own version of this awesome activity. This summer, I will be teaching summer school to kindergarten ELL students. I will be teaching three days a week for an hour. 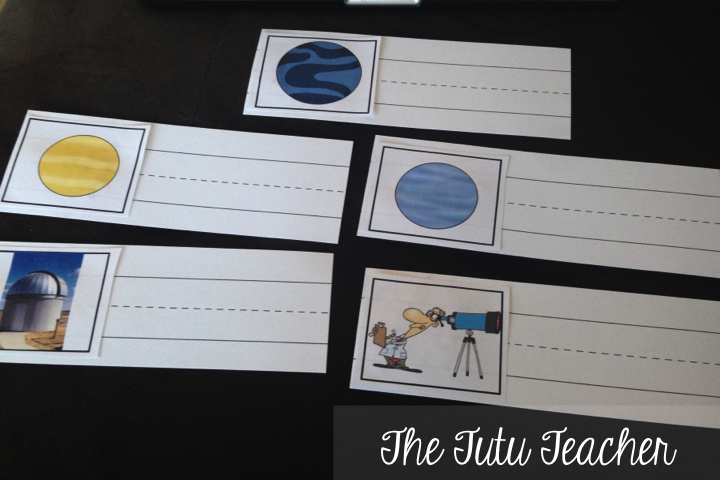 I wanted to have theme for our summer school…and I thought Space and Planets would be a great idea. 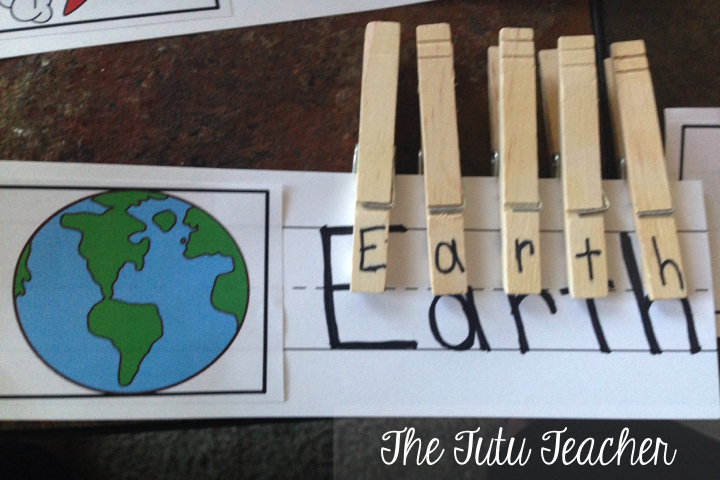 So when it was time to recreate this activity, I had the theme ready to go! I started with some pictures about Space and Planets. Then I glued them to some mini sentence strips I found at Michaels. 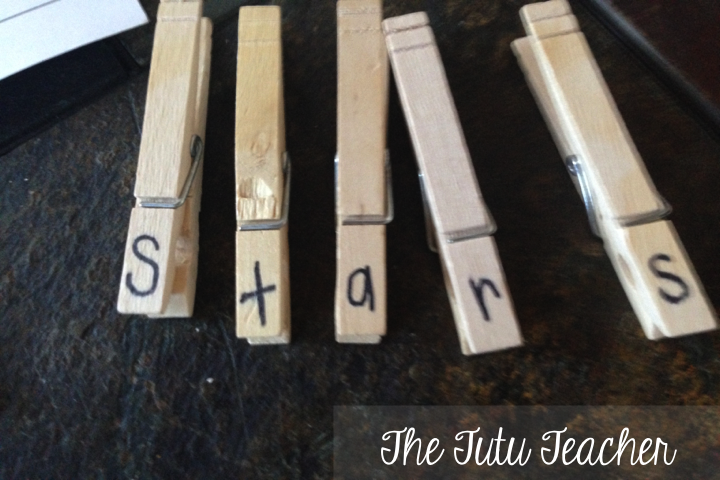 I wrote the word next to each picture and wrote each word on a set of clothespins. Here are a couple finished products. I need to laminate them for durability but I love how they came out! I think my kiddos will enjoy this. I might do a similar activity in the beginning of the school year with my kiddos pictures. These were quick and easy to make and can be done with any theme! Thank you Creating and Teaching! It was a great idea! Make sure to follow my personal Pinterest board here. Or my Tutu Teacher board here. Come back tomorrow to see my home and life Pinterest ideas....they're mostly about food. 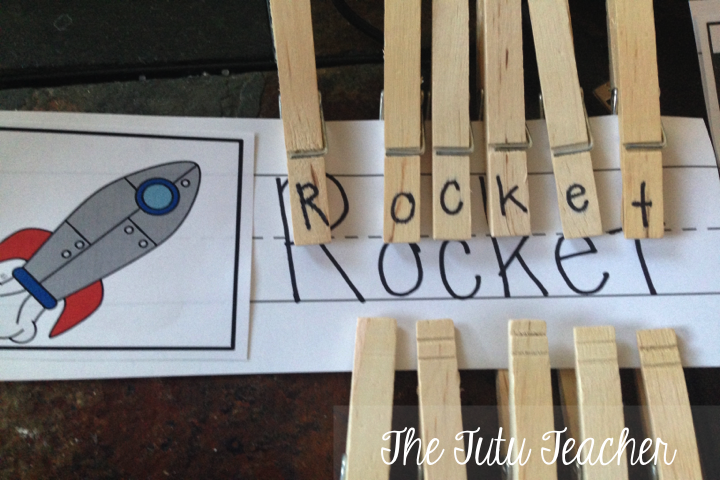 I love using clothespins for fine motor! Isn't it crazy how some of those little hands can't get those to work?! 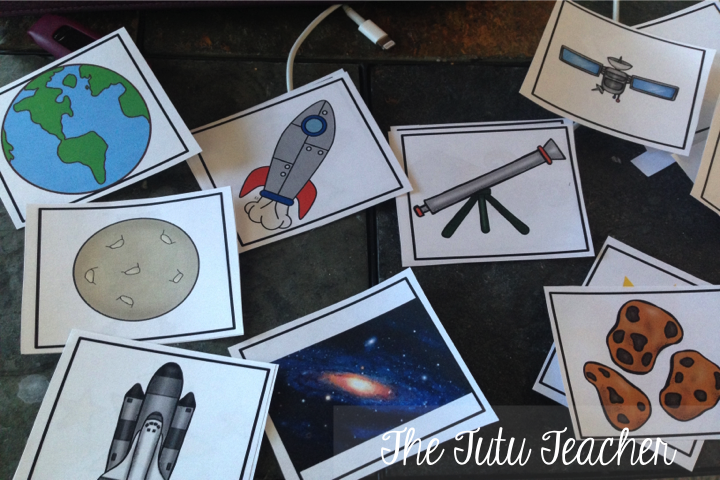 Super cute space cards! What a great idea! My poor soon-to-be-kindergarten son... His mama is going to have him working HARD this summer! Love your space cards! 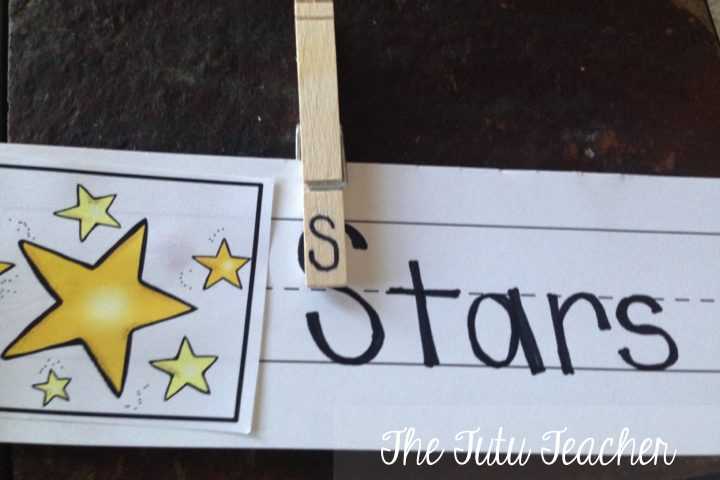 Great idea for those sweet kinders! I love this idea! I may just use it with my Little Peanut this summer. Love it!! Super cute idea! This would be great for word work! Thanks for sharing.